Bee HQ seems to sit squarely in what feels like the epicentre of a huge number of great gardens and houses one can visit. We are surrounded by beautiful, notable gardens as well as a lot of NGS gardens open to the public which might otherwise not be seen. 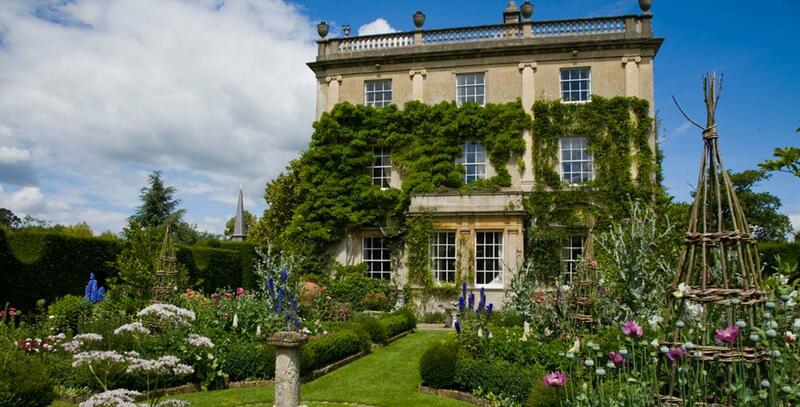 So nipping over into Gloucestershire to take a guided tour of Highgrove’s garden seemed too good an opportunity to miss, so I booked two tickets for a Guided Spring Walk. I will add right now that Mr Bee who was due to accompany me (a staunch Republican, and my sometime Undergardener) decided to stay at home and weed the borders. I am kidding of course: chance would be a fine thing. He bailed on me, but I set off knowing I would be able to spend far more in the garden shop without him. The 90 minute drive west was delightful, taking in the changing nature of the Cotswold stone colours as I headed towards Tetbury. I even drove past the Waitrose where local customers threw bread rolls at Camilla P-B, back in the day when she had been outed as The Other Woman. I would have spent longer in Tetbury as it looked charming, but I was following strict instructions from Highgrove regarding the timing of my arrival, and finding Highgrove itself was easier said than done, due to the complete lack of signage (for security reasons I assume). left one in no doubt that this was a largely digital-free zone. To be wandering around, using one’s eye and memory (and notebook) felt like a challenge in this day and age. The security wasn’t as tight as I had imagined, which makes me think HRH probably wasn’t in residence. The pot-holes which are currently blighting the UK winter roads continued up the drive, and there was rather a relaxed and unassuming feel to the entire operation they run there. It is fairly low-key and disarmingly informal. It struck me that for the Prince, Highgrove is the equivalent of us mere mortals having a weekend caravan, a she-shed, or (at most) a holiday cottage for the odd weekend get-away. The house itself (my guess is it has maybe 10-12 bedrooms) is not as big as you might imagine; mind you, when your normal residencies are a series of castles and palaces, arriving there must feel a bit like going camping for Mr & Mrs Mountbatten-Windsor. Having said that, there are 12 gardeners in total, and the property extends to a huge acreage, much of it farmland. And whilst billed as “old-fashioned”, HRH has always been way ahead of the game on ecological/sustainability matters (more of which, including the reed-bed sewage system! you can read about here) , and if he does still talk to his plants (one of the Bees, when asked what he knew about Prince Charles said, “he talks to plants and has flappy ears”), the garden is a very good advert for doing just that. It is 100% organic and looks very good on it. My guess is we saw a fraction of the whole garden on the tour, but we certainly got a good feel for it, and were allowed surprisingly near the house. We were too polite to peer in the windows however tempted we were: how British! So what did I take note of? Despite it being smaller than I thought (and I have read the book), it is by normal standards pretty big, so everything is done on a large-scale. No single bags of compost or mulch for His Royal Highness from Tetbury B&Q. So for example, while you or I might think planting 80 snowdrop bulbs in one go an industrial project worthy of note in the local paper, just last year alone 40,000 were planted at Highgrove, and heavens, they looked magnificent, mingling in with the cyclamen. Mid-February is perhaps not the most popular time to visit, but (as you might remember) I have a deep fascination with structure, and winter is the best time to appreciate it. The other bonus was that it was certainly “peak snowdrop” ~ they couldn’t have been prettier. In a week or two, the daffs will be out, but too much yellow in a garden, even in the spring, makes me nervous. What was not in evidence in late winter was the famous wild-flower meadow, which I would absolutely love to see in full swing. Apparently the Guild of Scythe Cutters come and in and give it its most important cut. I can’t say they would probably be available to come and do my wild-flower meadow cutting (such as it is). I noticed that much of the hedging, particularly in the less formal areas of the garden (further away from the house) is mixed, so there is a lovely tapestry of native species, intermingling ~ it’s very pretty, and importantly, good for wildlife. Another idea I liked very much is the way several ‘windows’ have been cut out of the formal yew hedges, allowing visual vistas to open up. Also, one small stretch of hedging was laid out in a ‘crinkle-cranke’ manner, thereby allowing some attractive planting in the curves. Daphnes: it seems there is no such thing as too many and the scent was good, despite it being a bitterly cold day. Some are evergreen which gets a very big tick from me. The national collection of Hostas are at Highgrove; again, nothing to see in Feb, but I imagine they are lovely, running throughout the various ‘garden rooms’. Reduce, Reuse, Recycle is taken very seriously in the garden. Little homemade fences, willow hoops to keep the riff-raff to the paths, logs used to edge drives, were things you and I could also do. Using historically, architecturally important stonework which has been lying about for centuries to make a beautiful wall might well be beyond us, as might be the other myriad of structures such as the thatched tree-house, which wasn’t that much smaller than my first house I bought in Kent in 1986…. Presumably as well, there is plenty of material lying around for jobs like staking – no green plastic plant supports for our future King. Using foraged pine-cones to mulch around a shrub in a pot looks charming. Interestingly, there is an amazing collection of terracotta urns, some of them HUGE, and I was surprised they were left out over winter; our guide explained that they are filled with wood-chips, which acts as an insulator apparently. A good tip. I was very interested to know whether there have been issues with Box Blight. We have it at Bee HQ, and my master-plan to ignore it, hope for the best, treat with fungicide (which may be helping, but it is unlikely), and occasionally raise a prayer to the Goddess of Gardening (Dionysus?) does appear to work. At Highgrove they have taken a somewhat more targeted approach: they have ripped out the box parterre completely and have replanted with Euonymus japonicus ‘Green Rocket’, which has slightly larger, darker green leaves than box but looks very good to me. Interestingly the Box further afield, and used as part of the mixed hedging, looked perfectly healthy. What else went down in my notes? The use of what I call Crinkly Ivy (possibly Hedera helix ‘Ivalace’); slinging down a handful of alpine grit on the soil to mark where perennials will come up (in this case, Delphiniums); and finally, as I am thinking very seriously about keeping bees, Highgrove’s decision to keep Welsh Black Bees (which hail from Anglesey), which are apparently rather more hardy and resilient than other species – I will have to do some research into that. HRH’s chooks looked flippin’ delighted to be living at Highgrove, and their coop was as upmarket as you would expect from the next in line to the throne. And what of my shopping trip? The little shop had a few lovely things, and I stocked up on plenty of delights I don’t need but which caught my eye, including an attractive little double-flowered Primula, which will look nice when it blooms. The cafe was excellent and the gluten free fare was delicious. 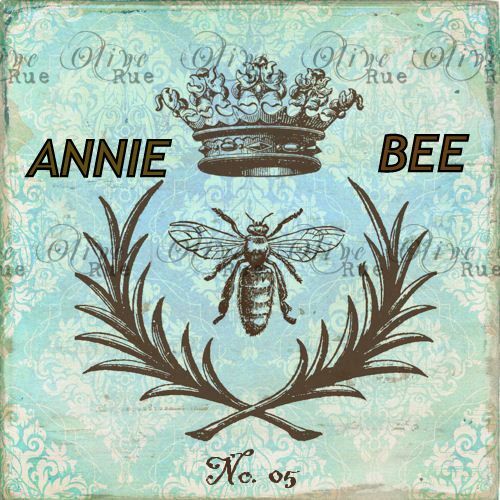 All in all, another very successful Annie Bee Gardening Adventure, and a few lovely ideas and memories to take home. 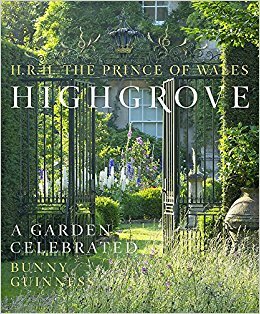 NB: all profits from Highgrove go to Prince Charles’s charitable foundation; even the most rampant Republicans should be happy to hear that.